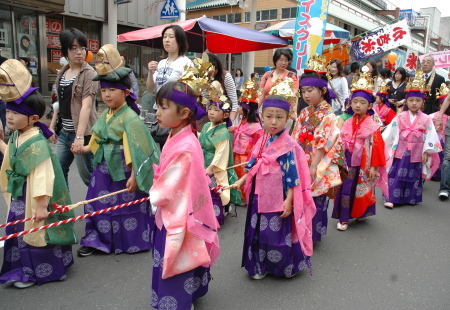 Children's Day (こどもの日 Kodomo no hi) is a Japanese national holiday which takes place annually on May 5, the fifth day of the fifth month, and is part of the Golden Week. It is a day set aside to respect children's personalities and to celebrate their happiness. It was designated a national holiday by the Japanese government in 1948. The day was originally called Tango no Sekku (端午の節句), and was celebrated on the 5th day of the 5th moon in the lunar calendar or Chinese calendar. 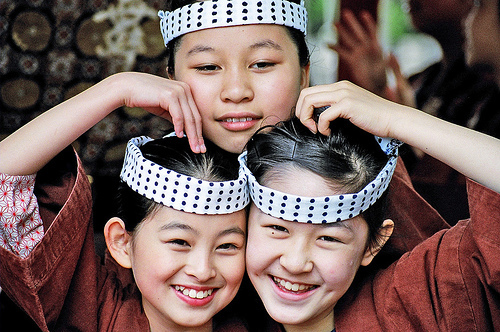 After Japan's switch to the Gregorian calendar, the date was moved to May 5. The festival is still celebrated in China, Taiwan, Hong Kong and Macau as the Duanwu Festival or Tuen Ng Festival (Cantonese), in Korea as the Dano Festival, and Vietnam as the Tết Đoan Ngọ on the traditional lunar calendar date. It was originally for boys but was changed to include both genders. 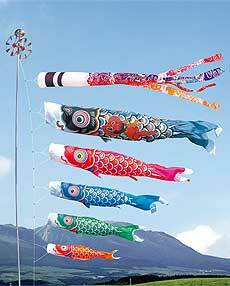 Sekku means a season's festival (there are five sekku per year). Tango no Sekku marks the beginning of summer or the rainy season. Tan means "edge" or "first" and go means "noon." In Chinese culture, the fifth month of the Chinese calendar was said to be a month for purification, and many rites that were said to drive away evil spirits were performed. 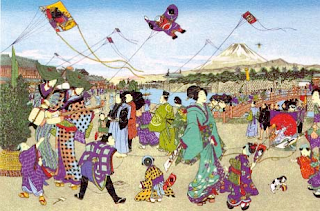 Although it is not known precisely when this day started to be celebrated, it was probably during the reign of the Empress Suiko (593–628 A.D.). In Japan, Tango no Sekku was assigned to the fifth day of the fifth month after the Nara period. Until recently, Tango no Sekku was known as Boys' Day (also known as Feast of Banners) while Girls' Day (Hinamatsuri) was celebrated on March 3. In 1948, the government decreed this day to be a national holiday to celebrate the happiness of all children and to express gratitude toward mothers. It was renamed Kodomo no Hi. Before this day, families raise the carp-shaped koinobori flags (carp because of the Chinese legend that a carp that swims upstream becomes a dragon, and the way the flags blow in the wind looks like they are swimming), one for each boy (or child), display a Kintarō doll usually riding on a large carp, and the traditional Japanese military helmet, kabuto. Kintarō and the kabuto are symbols of a strong and healthy boy. Kintarō (金太郎) is the childhood name of Sakata no Kintoki who was a hero in the Heian period, a subordinate samurai of Minamoto no Raikou, having been famous for his strength when he was a child. It is said that Kintarō rode a bear, instead of a horse, and played with animals in the mountains when he was a young boy. Mochi rice cakes wrapped in kashiwa (oak) leaves — kashiwa-mochi (just like regular mochi, but is also filled with red beans jam) and chimaki (a kind of "sweet rice paste," wrapped in an iris or bamboo leaf) — are traditionally served on this day. Kodomo no hi (こどもの日) es una fiesta nacional japonesa que tiene lugar el 5 de mayo. En este día se respeta la personalidad de los niños y se celebra su felicidad. Su nombre era, originalmente, Tango no Sekku (端午の節句), que puede haber sido, en un principio, un festival chino. Desde el principio de la historia, se ha dicho que mayo era un mes para la purificación, y muchos ritos que se suponía alejaba a los espíritus malignos se realizaban en mayo. Se fijó la fecha en el 5 de mayo después del período Nara. Hoy en día, las familias izan banderas koinobori en forma de carpa, una por cada niño (a veces, por cada niño varón) y muestran el casco tradicional japonés, el kabuto. El kabuto es el símbolo de un niño varón fuerte y saludable. Se dice, en general, que Kodomo no hi es el día de los varones, mientras que el día de las niñas es Hinamatsuri. En este día se comen los tradicionales pasteles de arroz mochi.